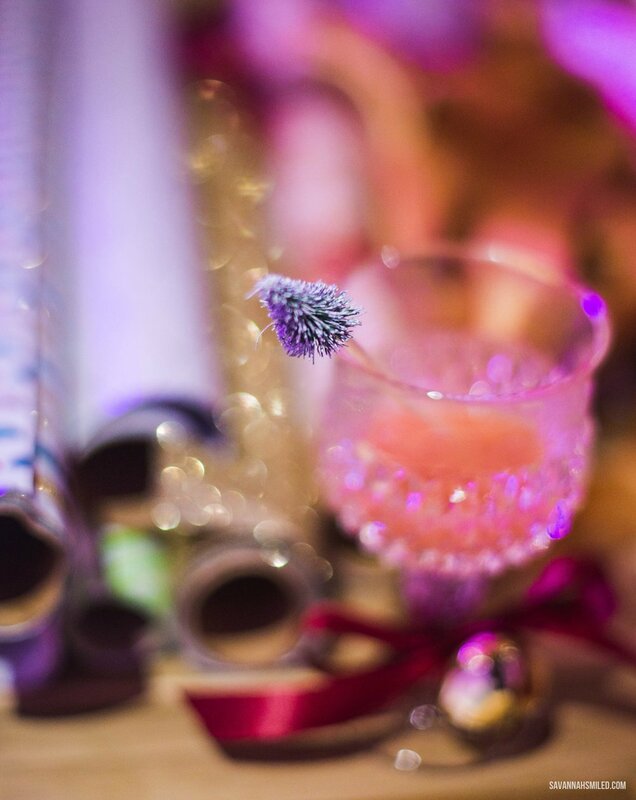 My friends at The Coterie, a Dallas studio for bright + modern events, had a Christmas wrap party to kick off December. The table was "set" with pretty paper, glittery tags, colorful ribbons and other goodies to make a few presents a little more beautiful. I've actually been keeping up with my wrapping as I buy presents, so all I had was a gift for my brother-in-law. Sorry to the ladies in my family, but he's getting the prettiest little box in all the bunch. The newest edition to The Coterie family is this little sweet one, Luna. When she wasn't busy being the cutest little puppy on the block, she was taking some nice little power naps.